Good service. Item exactly as discribed. 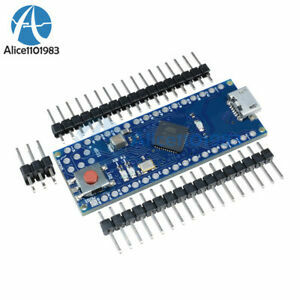 Very good Arduino compatible board. It comes with headers for the IO pins as well as for the ICSP pins. The USB connector is micro which is really handy. The MCU has built in USB (no need for serial converter). It comes with a basic bootloader for programming which is really great. The overall quality of the board is very good.